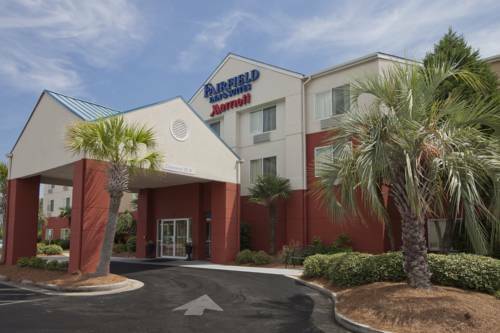 Fairfield Inn & Suites Gulfport is the refreshing choice among hotels in Gulfport, MS. Were conveniently located 2 miles from Gulfport-Biloxi Airport and were surrounded by military bases, including the Naval Construction Battalion Center and Keesler AFB. Popular Gulfport attractions are nearby, including Gulf Island Water Park, Ship Island Excursion and Lynn Meadows Discovery Center. We exceed expectations with thoughtful touches like free continental breakfast with many hot items such as scrambled eggs, breakfast bacon or sausage, fresh fruit, yogurt, and freshly-made waffles. Stay productive with free Wi-Fi and stream NETFLIX and HULU right from your guestroom. Stop by our fitness center for a revitalizing workout. At Fairfield Inn & Suites Gulfport, youre our #1 priority. We promise youll be satisfied, or well make it right. Ask us about The Fairfield 100% Guarantee.